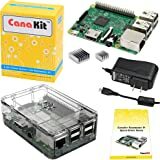 Sold by The_Pi_Hut and Fulfilled by Amazon. Gift-wrap available. 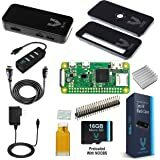 Sold by The_Pi_Hut and ships from Amazon Fulfillment. Sold by C4 Labs and ships from Amazon Fulfillment. 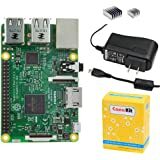 a Raspberry Pi Zero W AND necessary adaptors. 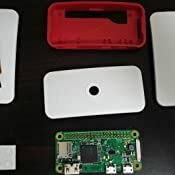 It comes with a male Micro USB to Female USB-A cable, a Mini-HDMI to HDMI adaptor, four rubber feet for the Pi to stand on as to not damage the board, and multiple header pins. This product has excellent value. Nothing was broken or defective. 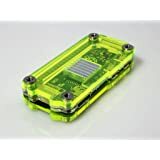 You will need a micro USB power supply and a Micro SD card that has at least 8GB of storage. Great buy. Would recommend. 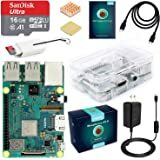 This kit pretty much has essentials for 1st Zero Pi owner. By the time you find a the Zero W board, pin standoffs, and the miniHDMI, USB adapters individually the price would be about the same. Not to mention Prime shipping! I would advise buy the kit with 1st board so you have the adapters. Future boards could then be purchased individually (if you can find them as Zero's can be hard to find). I built a 4 Zero cluster using this kit and 3 additional Zero's. 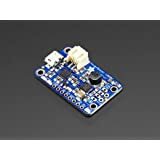 The best price I found for Zero v1.3's was $5 + $2 shipping and you can only buy them 1 at a time (Zero-W's are $10). This product is as described and works well. It arrived as estimated. I did have a problem getting the Wi-Fi to work, but after emailing Danny at The Pi Hut he gave me some very helpful information. That you need to use the latest version of Rasparian, which I was using a little older copy. They responded to my E-mail extremely fast and were very helpfully. I would highly recommend buying from them! 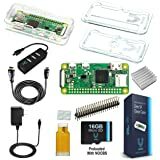 5.0 out of 5 starsGreat starting point for Pi Zero/Zero W owners! Everything came as expected and was in stellar condition. 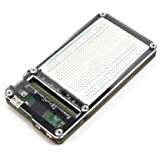 In addition to the Pi Zero W, this kit comes with all the adapters you'll need for the Pi Zero's selection of ports, a selection of GPIO pins (male and female!) 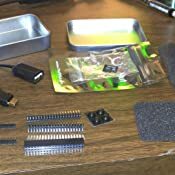 that you can solder to the Zero, and four rubber feet that you can use until you embed it in a case or project. All of this comes in a nice and sturdy foam-lined tin about the size of an Altoids case! For this price point, you definitely get a lot for your money. All the adapters work as expected; the Mini HDMI to full HDMI adapter is rugged and sturdy, although I do have some concerns with the flimsy feeling of the USB OTG adapter. 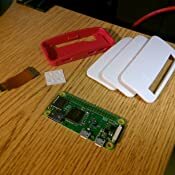 The feet stay on very well, so you won't have to worry about the Pi sliding around on a desk or worse, off onto the floor. 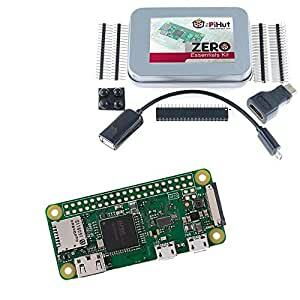 This is an excellent starting point for Pi Zero owners, as it gives you everything you need to get off the ground for all future projects that might involve using one. I did not buy this from Amazon but the same exact kit. The Zero is great. I don't think I would call these essentials. They are not 100% necessary to use it. However for the beginner who lacks experience working with these things in a "headless" configuration they will help. The Mini-HDMI adapter in my kit did not work. I would recommend an HDMI cable that is standard on one end and mini on the other. Exactly as promised. 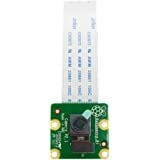 Pi Zero W board, pins and adapters. 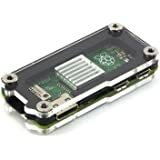 1.0 out of 5 starsMissing HDMI & USB OTG adapters! 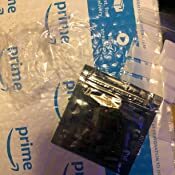 I received this item, in a loose opened cello-wrapper, along with 10 other items. 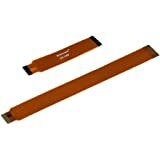 As mentioned previous answered questions, as I've now read, the description & photo details a micro USB to OTG USB adapter cable & a HDMI mini to HDMI adapter, that were both missing in my order. I've started a return for refund.